1 A None No Power Seat 1 A is a standard First Class seat, however legroom may be restricted due to the position of the bulkhead. The tray table is in the armrest, making the armrest immovable and slightly reducing seat width. There is no floor storage for this seat during take-off and landing. 1 B None No Power Seat 1 B is a standard First Class seat, however legroom may be restricted due to the position of the bulkhead. The tray table is in the armrest, making the armrest immovable and slightly reducing seat width. There is no floor storage for this seat during take-off and landing. 1 E None No Power Seat 1 E is a standard First Class seat, however legroom may be restricted due to the position of the bulkhead. The tray table is in the armrest, making the armrest immovable and slightly reducing seat width. There is no floor storage for this seat during take-off and landing. 1 F None No Power Seat 1 F is a standard First Class seat, however legroom may be restricted due to the position of the bulkhead. The tray table is in the armrest, making the armrest immovable and slightly reducing seat width. There is no floor storage for this seat during take-off and landing. 12 A None No Power Seat 12 A is a standard Economy Plus seat, however this seat has no recline due to the exit row behind. 12 B None No Power Seat 12 B is a standard Economy Plus seat, however this seat has no recline due to the exit row behind. 12 C None No Power Seat 12 C is a standard Economy Plus seat, however this seat has no recline due to the exit row behind. 12 D None No Power Seat 12 D is a standard Economy Plus seat, however this seat has no recline due to the exit row behind. 12 E None No Power Seat 12 E is a standard Economy Plus seat, however this seat has no recline due to the exit row behind. 12 F None No Power Seat 12 F is a standard Economy Plus seat, however this seat has no recline due to the exit row behind. 20 A None No Power Seat 20 A has some extra legroom due to the exit row in front, however this seat does not recline due to the exit door behind. The tray table is in the armrest, making the armrest immovable and slightly reducing seat width. 20 B None No Power Seat 20 B has some extra legroom due to the exit row in front, however this seat does not recline due to the exit door behind. The tray table is in the armrest, making the armrest immovable and slightly reducing seat width. 20 C None No Power Seat 20 C has some extra legroom due to the exit row in front, however this seat does not recline due to the exit door behind. The tray table is in the armrest, making the armrest immovable and slightly reducing seat width. 20 D None No Power Seat 20 D has some extra legroom due to the exit row in front, however this seat does not recline due to the exit door behind. The tray table is in the armrest, making the armrest immovable and slightly reducing seat width. 20 E None No Power Seat 20 E has some extra legroom due to the exit row in front, however this seat does not recline due to the exit door behind. The tray table is in the armrest, making the armrest immovable and slightly reducing seat width. 20 F None No Power Seat 20 F has some extra legroom due to the exit row in front, however this seat does not recline due to the exit door behind. The tray table is in the armrest, making the armrest immovable and slightly reducing seat width. 21 A None No Power Seat 21 A has some extra legroom due to the exit row in front. The tray table is in the armrest, making the armrest immovable and slightly reducing seat width. 21 B None No Power Seat 21 B has some extra legroom due to the exit row in front. The tray table is in the armrest, making the armrest immovable and slightly reducing seat width. 21 C None No Power Seat 21 C has some extra legroom due to the exit row in front. The tray table is in the armrest, making the armrest immovable and slightly reducing seat width. 21 D None No Power Seat 21 D has some extra legroom due to the exit row in front. The tray table is in the armrest, making the armrest immovable and slightly reducing seat width. 21 E None No Power Seat 21 E has some extra legroom due to the exit row in front. The tray table is in the armrest, making the armrest immovable and slightly reducing seat width. 21 F None No Power Seat 21 F has some extra legroom due to the exit row in front. The tray table is in the armrest, making the armrest immovable and slightly reducing seat width. 37 C None No Power Seat 37 C is a standard Economy Class seat, however the close proximity to the lavatories and galleys may be bothersome. 37 D None No Power Seat 37 D is a standard Economy Class seat, however the close proximity to the lavatories and galleys may be bothersome. 38 A None No Power Seat 38 A is in the last row of the plane and may not recline. The close proximity to the lavatories and galleys may be bothersome. 38 B None No Power Seat 38 B is in the last row of the plane and may not recline. The close proximity to the lavatories and galleys may be bothersome. 38 C None No Power Seat 38 C is in the last row of the plane and may not recline. The close proximity to the lavatories and galleys may be bothersome. 38 D None No Power Seat 38 D is in the last row of the plane and may not recline. The close proximity to the lavatories and galleys may be bothersome. 38 E None No Power Seat 38 E is in the last row of the plane and may not recline. The close proximity to the lavatories and galleys may be bothersome. 38 F None No Power Seat 38 F is in the last row of the plane and may not recline. The close proximity to the lavatories and galleys may be bothersome. 7 A None No Power Seat 7 A may have some extra legroom due to the position of the bulkhead. The tray table is in the armrest, making the armrest immovable and slightly reducing seat width. There is no floor storage for this seat during take-off and landing. 7 B None No Power Seat 7 B may have some extra legroom due to the position of the bulkhead. The tray table is in the armrest, making the armrest immovable and slightly reducing seat width. There is no floor storage for this seat during take-off and landing. 7 C None No Power Seat 7 C may have some extra legroom due to the position of the bulkhead. The tray table is in the armrest, making the armrest immovable and slightly reducing seat width. There is no floor storage for this seat during take-off and landing. 7 D None No Power Seat 7 D may have some extra legroom due to the position of the bulkhead. The tray table is in the armrest, making the armrest immovable and slightly reducing seat width. There is no floor storage for this seat during take-off and landing. 7 E None No Power Seat 7 E may have some extra legroom due to the position of the bulkhead. The tray table is in the armrest, making the armrest immovable and slightly reducing seat width. There is no floor storage for this seat during take-off and landing. 7 F None No Power Seat 7 F may have some extra legroom due to the position of the bulkhead. The tray table is in the armrest, making the armrest immovable and slightly reducing seat width. There is no floor storage for this seat during take-off and landing. All First and Economy Plus seats have access to an AC power port. On all A320s United Airlines offers internet service for domestic US flights. Connectivity is available for laptops or mobile devices. The service is available once the aircraft reaches 10,000 feet cruising altitude. Click here for more information. This Airbus A320 (320) seats 150 passengers and is primarily used on Domestic routes. This next-generation aircraft features a First Class cabin outfitted with 12 recliner seats. The Economy Plus cabin is outfitted with 42 seats and Economy Class features 96 seats. The Economy Cabin has been outfitted with Recaro's slimline seats that according to United boasts an extra inch of knee-space and another half-inch more headroom. United is currently in the process of outfitting their fleet of A320s with power ports in First and Economy Plus. So, power ports may not be available on your specific flight. Please check with the airline to confirm. Good seat. Roomy. Ok recline. Limited access to the overhead bins as cabin crew use them. There is no recline for the aisle seats in row 7. This is surprising and annoying given that it is a premium seat. New seats in first class have little to no padding-i have to bring a stadium cushion/sweatshirt to sit on...then the tray table doesnt lay flat. Great looking but extremely uncomfortable seats now. While this plane had some miles and the inside was not quite as modern as some others, the seat was very comfortable and functioned well. Absolute WORST seat I have ever had. Legroom ridiculously small. Do not ever fly economy on a United A320. Great seat with lots of legeoom and you can put ukur carryon under the area in front of you so you dont need the overheadeven most rollerboarss fit under this area! The first row of the a320 R3s are the best if you are not in first class! Probably the best plane in UA's fleet, at least for E+. The seat seems wider than the 737 and there's at least 35" of room, feels like more. There are power ports in E+ and with that pitch you'll never bump into your charger. I passed out so the seats were fine, but on 3+ hour flights you may find them thin. Bring your own entertainment, but with power ports and a better UA app, it's sufficient. Good seat. The netted seatback pocket is perfect for storing phone and glasses case. Tray table has cup holder indentations on both sides. As average as it gets. Fine for short to medium haul. Seat felt somewhat wider than most seats, I am not large and only way 130 pounds. I have flown United for years and I have been on the Airbus A319 twice and the last time I sat in a seat only 2 rows down. But the seat I sat in felt a little more wider. 795 BDL->ORD. Going into the flight I was apprehensive about the 30" pitch but found the legroom and comfort of the seat to be perfectly fine at 5'10". The United Airbus A320 is a very comfortable aircraft to fly in, at least in Economy Plus. For the 4 hour flight from SJC-ORD, I had plenty of space to do work, even with the seat in front of my reclined. The slimline seats were not the most comfortable, but after sitting in them for an 11 hour flight on the 787, this was no problem. United flight attendants are usually a mixed bag, but the crew on this flight was excellent. The personal device entertainment wasn't the best, but that's old news. For a four hour flight, the wing-view (excellent from this seat) and some work was enough entertainment. Note: on the return, I sat in 7A, and that was even more comfortable. There is space to store your bag underneath the first class seat (the partition doesn't come all the way down), giving plenty of legroom. I was able to get out without asking my neighbors to stand up. My only complaint with the Airbus 320 is the lack of restrooms. The front restroom is reserved for the crew and first class, leaving the rest of us in coach with 69 people to a restroom. This was bothersome right after drink services and before landing. Regular economy also didn't look very promising, seeing some of the passengers' knees against the seats. Overall, this is a great aircraft in E+, but not an aircraft that I would be comfortable flying more than three hours in Regular Economy in. I flew from Denver to Tucson and found this economy seat 26D a big improvement over the previous flight on a 737-800. There was more room both between my head and the seat in front of me and more room to stretch your legs. There is no screen/monitor on the seat in front which is fine with me. The bulkhead does not go all the way to the floor, so there is under seat storage for a bag. Tray tables no longer in armrest for all exit row seats. Power outlet on the front seat, not your own. Seatback pocket is the small net kind - barely fits a 13" slim laptop. Good leg room and even though it is a bulkhead seat, it is a fake on and you can put small luggage under neath the first class seat in front. I find the Econ+ seats on UA's A320 to be amongst the more comfortable on UA's mainline aircrafts. Legroom is good at 35 inch and the seat seems a tad wider than those on the Boeing aircrafts. Also, the moveable headrest on the A320 has an additional tilting mechanism to allow for greater adjustability. Every a320 with united Ive been on seems to have floor storage for the entirety of row 7 (bulkhead). Comfortable enough for an economy seat, didn't have any issue sitting in it for the couple hour flight but wouldn't be fun if it was a longer flight. Regular economy looked painful, pay the extra little bit AFTER booking to reserve an econ+ seat. In my experience the econ+ seats are cheapest to select after you've fully booked your ticket. The first row of the business class seat appears to have more room than other bus class seats due to bulkhead. While the tray is on the side of the seat, this doesnt reduce the width of the seat. There are no more screens in the seats due United moving to private screening. Seat has very limited recline. I am 6ft wt 214 and I'm not fat. I was on AC for 4 hr with wait time for fuel, TO and weather. My leg had a crease from the fwd seat leg for 2 days and I could not move over 4 inches fwd to back. My Knees touched the fwd seat. I will never fly in a Japanese sized seat again. I am done with domestic airlines. Very cramped seat with super-uncomfortable seat pitch. I had to work on some legal-size (14.5") documents. The folder, with one end touching the seat back in front of me, had barely an inch of clearance to my nose, and I'm not a very large person. So glad I didn't have to work on my 17" laptop. Couldn't wait to get off. Worst 1st class seat ever! No lumbar support at all, no leg rest, the recline position is minimal and even more uncomfortable than seated position -- impossible to sleep during a long flight. I was in so much pain I could barely walk after a 6 hr flight. I thought this seat was great for my IAD -> ORD flight. Plenty of leg room, nice recline, comfy adjustable headrest. Almost comfy enough to fall asleep. Not sure it would be good for a redeye, but if you're just going a few hours, it's good. Also, note there's no in-seat video, but any modern traveler should be prepared with a phone or tablet loaded with video. I'd strongly recommend aisle in first. Might have to step over someone to get to the aisle from a window seat. Also, staff were great. Pilot was good natured and attendants provided excellent service. Terribly old and worn airplane with filthy looking, uncomfortable business seats. Spending 9,5 h from CPH-ORD was much easier than 4 h ORD-Las Vegas! The personal was mostly talking to each other and seemed very uninteresting in their work. Not impressed at all. NY to Portland. First Class. These new seats are very uncomfortable. They are very hard and they don't tilt back as much as 'slide' forward. I'm 5'11" and in first class I expect to be able to cross my legs without touching the reclined seat in front of me. I couldn't. It wasn't good. This seat does have storage in the leg area in front of the seat (behind first class). No power. Very good leg room, just as good as exit row. 7A also has storage space, but 7C may not, as the separator between first class and coach projects out into the aisle. Slight recline made this seat with extra leg room a wonderful way to fly for 5+ hour flight. More Leg Room, But This Seat Does NOT Recline at All! On a 4+ hour flight, back starts to hurt a bit. Bulkhead seat had more leg room given the structure of the separation of business and economy class. I was able to stow my bag underneath the first class seat, in addition to the wealth of legroom. I also had a plug outlet at the seat. This was the first time I felt that I was going to have an anxiety attack, after just sitting down in my seat! It was so narrow, leg room was ok for me but not my husband who had the aisle seat. It was so hot on the aircraft that most everyone complained. This was the first time I ever experienced such a cramped feeling that I was miserable like I said just after sitting down. I don't even think an aisle seat would have made me any less anxious. Flight attendants were fabulous. We were delayed due to snow in Chicago, and United was very nice to stop boarding until they knew for sure the status of the flight, instead of having us on the plane and sitting. That was greatly appreciated! We had a delay once we landed in Chicago for over an hour to get to our gate, but again the flight attendants were very good with the situation. New seats provide lots of legroom, full recline, and tray table in arm rest. I'm 6'5" and 250 lbs and was comfortable for once. Even row 1 had lots of legroom, despite bulkhead. The seats are overall comfortable, and the food usually good, but not all aircraft have power. This is really unacceptable in 2016. At least they are retrofitting the seats. Fantastic. PIT-DEN on UA737. Good cabin crew, good plane. A320s are better airplanes than their B737 counterparts. Recommended. It was a 4 hour flight, but passed easily. I flew back on a B737 and I will never fly a B737 again if I have a B737-A320 choice. Note, not all the planes have in-seat power! i recently flew from MIA-ORD///ORD-SFO. Both A320, MIA-ORD had the new first seat and new slimline seats all with in seat power! ORD-SFO..OLD seats with no power!! be sure your phones, tablets...etc....are charged and juiced up just incase!! Seats are way too hard. Seatguru lists Power, but it doesn't have power. 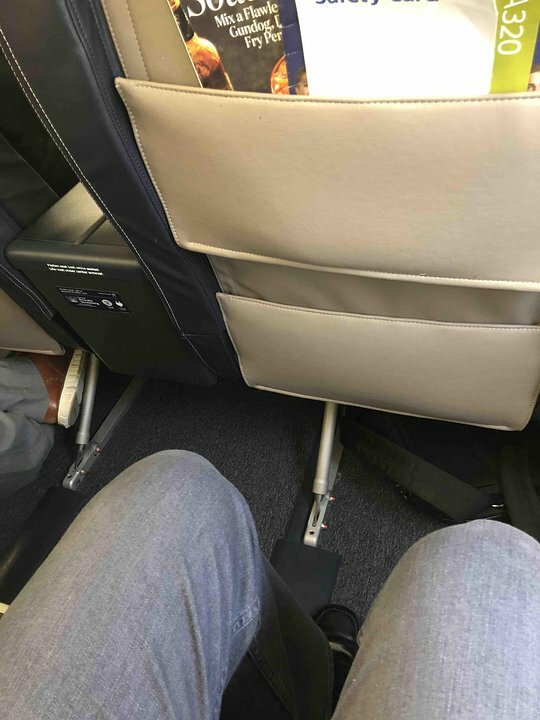 The leg room is the smallest considering the plane size. We would have paid extra for PLUS but we had kids and couldn't sit in the isle. Absolutely nothing special about this first class experience. Fortunately I was on a short hop from YYZ-ORD. No seat back entertainment and I did not try the WiFi. The seat was average to below average for a first class seat. I couldn't imagine sitting on this plane much longer than the hour that I was on it. I think the new seats are hard, do not recline much and have no lumbar support what so ever. In addition the folding headrest wings are short and do not fold that much as a result they offer little head and neck support. Next time I fly on this plane I will try economy plus - I can't imagine that they could be that much of a down grade! The biz class seats are not worth the money in my opinion. Save the money and buy some nice gourmet to take on board. This A320 has the new first class seats...very comfortable. No USB connector you require the adaptor to plug in 120v. legroom it is amazing... I'm 6' tall and it was fantastic... The bulkhead it has great distance allowing you to stretch your legs very comfortable. 21B was great. There was a ton of leg room - more than average for an exit row. While I wouldn't choose to put these seats in my dreamhouse, I didn't find them to be nearly as bad as the comments here suggest. I had no discomfort after a 4.5 hour flight. Do not sit in economy if you plan on working. If you want window side arm room, do'nt choose this seat. There's a bulkhead that crowds armroom in 11A. Mixed experience in this plane. SEA-IAH 3A, early flight. seats were very comfy, and had good recline. My eggs were good, but I wish United had not taken out channel 9.second flight DEN-SEA, we were delayed 15 minutes due to late aircraft arrival, another 1:15 due to a faulty sensor. Ended up on a different aircraft, which had the new seats, which are far better, complete with power. Over all a good experience. The First Class seats are OK but a bit worn and nothing in comparison to seats on European or ME business class seats. There are no screens or power outlets at these seats, a major inconvenience if you want to use your computer or oxygen concentrator on power...the latter not a luxury. Forcing you to use their wireless is just another profit center, not customer service. The failure to support Chrome on the wireless system is incomprehensible since this is a major system not a minor or rogue one. Another major inconvenience and lack of real customer service for business or leisure travelers even in First Class. The food was OK, but nothing to consider first class...far out shown by, for example, tourist class on Air France...where you get a glass of champagne even in tourist class before take off. A moderately comfortable experience due to larger seat size but otherwise not a premier service. There is floor storage for row 7, as the first class bulkhead has a cutout on the bottom, allowing bag stowage. 5/5 seat! I love flying, but the United A320 is the worst flying experience I have ever had. The seats are like sitting on a wooden box for 3+ hours. Horrible. Add to this that my knees were jammed into the tray table from the seat in front. THE WORST FLYING EXPERIENCE THAT I HAVE EVER HAD. Miserable! There is storage room for landing and take-off under the bulkhead (First Class). And extra legroom due to the bulkhead. 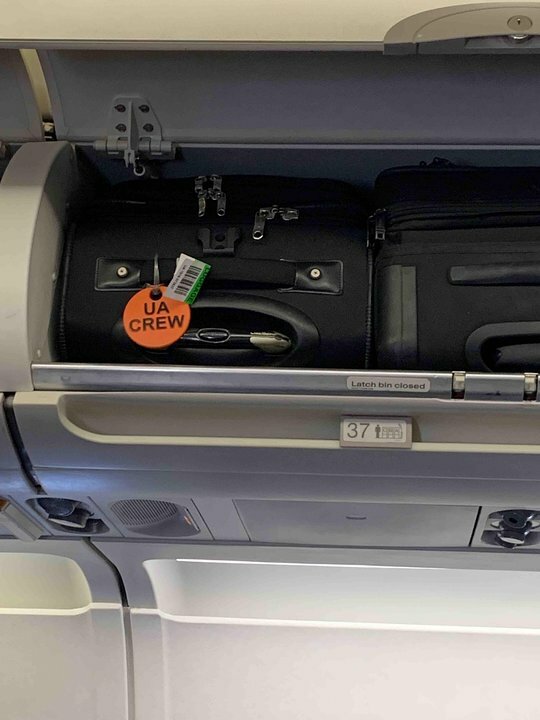 For all of rows 37 and 38 there is no overhead storage available, marked for crew use only. We didn't know that until we got to our seats and then, on a completely sold out flight, try to go forward against the flow to find some overhead space...good luck with that! Flew Business Class from Sacramento to Dulles. Terrible. No in-flight amenities. Stared at a blank wall the entire time. seats uncomfortable and thin, plenty of leg room but expected more for that price!! Couldn't lay flat so no sleep on 5 and half hour flight. United's VIP Lounge at O'hare (layover on return trip from Amsterdam) is a sham only free drink was coke from the bar, food was snack like stuff. We had choice of United's or Lufthansa in Munich and Dulles and United staff recommended we use Luft. as it was admittedly first class which it was! United; NEVER AGAIN! Thank the good Lord we changed over to Lufthansa for the flight to Munich on a A330. What a difference! contrary to the stager description, the tray for this seat (and all seats in row 21) is NOT in the armrest, but in the back of the set in front of you. which is a very good thing, since there is already little space for one's hips as it is. the left armrest of seat 21A is part of the emergency door, and does not provide any support to the elbow. the seat back is extremely thin and provide very little padding. there is a good amount of space to stretch one's legs. My wife and I upgraded to the Economy Plus, and had an isle and a window seat. Center seat was vacant. Lots of room, good wifi, and the snack pack we purchased was very good. Excellent service and a very enjoyable flight from Denver to Vancouver. Much better than the small and crowded Emb145 from Tulsa to Denver. I recommend the upgrade to economy plus, woth the 39 bucks.. The Entertainment is now free again - you need a phone - tablet or lap to view it over the wi-fi which is free for entertainment. And you have to load the ap before the flight. San Diego to Portland Oregon - Could have seat number via on line check in if only I was to pay an extra $87 for so called preferred seat otherwise no seat assigned till boarding time. Paid the $ and got the only seat left in row 12. It was a night long flight and when decided to recline my seat for a nap, couldnt find the bottom. When asked for help, was told these seats are NOT recline-able as they are close to the exit door. Got home at 2 AM very tired with neck pain for 2 days after. Lots of leg room in this row. However, the new Recaro-style seats used on this aircraft are the most uncomfortable airline seats I've ever experienced. I will not fly any UA flight that has these seats. A short 1 1/2 hr flight was excruciating. The seat itself was horrible. These are the bark bench hard Recaro garbage seats. My go-kart as a kid was more comfortable due to the seat having contour. This seat was horrible, no padding. I don't get why they don't put padding there for the rear end. It would let them keep us stuffed in with these horrible seat pitches. Anyways the flight attendant put her giant bag in front of my foot-well. I was horrified she did this but didn't want to start a fight. As usual on united there are no screens, no seat-back entertainment, no audio so no cockpit chatter and no charging plugs. This flight was just under 5 hours. Also as usual for United they don't offer seat-back ordering like Virgin so they clod the aisles with these food carts and they only have bathrooms in the back, totally wrong. Anyways I'm glad I got somewhere safe but United always makes it miserable. I wish they would charge $100 more and stop being so childish and rude and cheap like Ryan Air and Spirit and Frontier. I had economy plus 35" seat pitch so the legroom was great but the seat was hard as bricks. Worst airplane seating ever, about as comfortable as sitting on a park bench. One hour into the flight my rear was sore and cramped and there is no way you are going to find comfort unless you bring your own seat cushion. Economy Plus does not spare one from these miserable seats. I will avoid flying on any United flight operated with an A320. 2A on an A320 feels roomier than an equivalent seat on a UA 737, and the angle of the seat back is quite comfortable. However, having no power outlets is a real problem on a long flight, as this aircraft only has personal entertainment device streaming, and no other a/v. If your iPad isn't charged up, your out of luck. Had economy plus. The seats were fine for the flight from Chicago to Miami. I was able to completely stretch out my legs which was also very nice. Really like the personal device entertainment. I had more back and tailbone pain (I'm 6'1") on a short flight (SFO-YVR) (Vancouver) than I do on a SFO-LHR (London). I will never fly on a United Airbus. If you're reading this - see if they offer a Boeing flight that you can switch to! These seats are VERY uncomfortable. I flew from DFW to SFO and my mid back started to ache 1 hour into the flight. The seats are made of hard vinyl with no lumbar support. My God UA, what were you thinking when you installed these seats? Were they such a discount that you could not resist? I have to leave a comment. It is my first here. This is probably the most uncomfortable seating I have ever seen in coach. My water bottle wouldn't fit in the compartment on the back of the seat of the person in front of me. The person in front of me reclined his seat. I could see every hair follicle in his bald spot. Thank god he did not smell. The poor guy in 28A was a big guy. He was so polite and so miserable. My wife was on my right would not give up her aisle seat. And it was a 4 hours flight from IAH to SFO. I walked around several times to help my back. I had a sore lower back at the end of the trip. We both thought the seats had all the comfort of the wooden pews at church. I will do my best to avoid this configuration. I had first class for this flight. The legrrom was fantastic, seats were very nice and cushy. The food was surprisingly good (I had the chicken). 38C does not recline. Maybe due to oxygen bottles behind. Economy Seats are very tight spaced, thin and uncomfortable on this plane. I am 6'1" and could not keep my knees straight. No power. No Screen. FAA minimum crew(3) for a full flight. The new slimline seats on the A320 are terrible. Although they claim to offer more legroom I felt extremely squished. When the person in front reclined their seat I had no space available to really move my legs. Would not fly on an A320 again. DO NOT FLY DOMESTIC-ECONOMY ON THIS PLANE. UA nickle & dime economy passengers by charging extra for: advance boarding, in-flight movies, etc. etc. The seats are horrible and cramped (see other comments), service is worse than a bus, etc. etc. The are the most uncomfortable airlines seats that I have ever experienced. Even the economy plus seats are awful; the seats are so hard and shallow you are constantly sliding off, and there's no lumbar support. The exit row seats are even shallower and more awful. After a five hour flight I was in excruciating back pain. Shame on United Airlines. The seats are very comfortable, but until the plane reaches cruising altitude and throttles back the engine sound is almost unbearable. There is no entertainment and no power but the service is great and attentive. The flight departed 2 minutes early but arrived 6 minutes late. 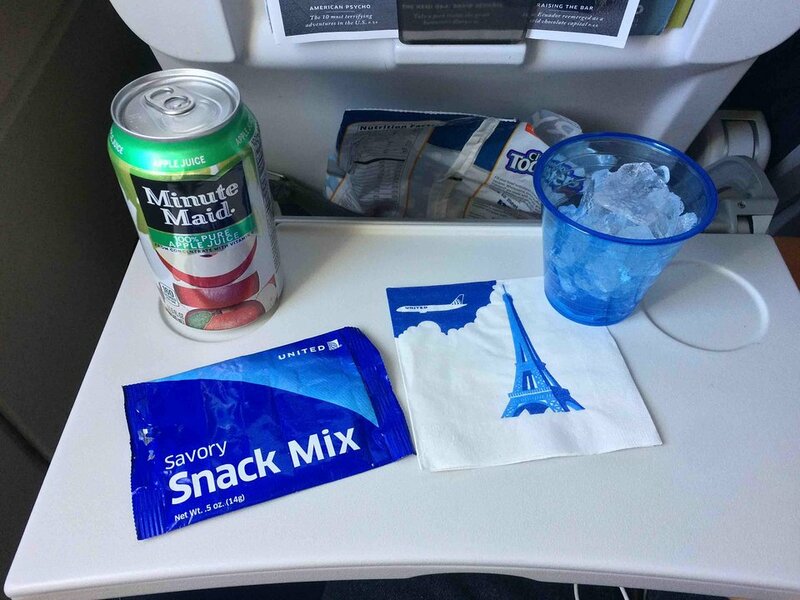 I bought some fresh food toward the beginning of the flight and a snack toward the end of our flight. I'm not the kind of person who drinks alcohol so when I had the beverage in the middle of the flight, it was free. I think it's like this for all short/medium haul flights. I used my personal device and I bought wifi. I can understand why Wifi isn't complementary. What stinks is that we don't have on-demand entertainment but the Boeing 737 has it and it's for the same distance. It was all right that there wasn't any in seat power on this flight because my i pad was charged at 100 percent. The seat was OK because it had enough pitch, width, and recline. This might not be good for other people as i'm six feet two inches. I mean, maybe not for Frank Kaminsky. Just got off a flight PHX to DEN. We flew on this plane direct from Denver to Tampa business class in seats 1A and 1B. These are in the first row, next to the bulkhead. They were comfortable and in good condition. The flight attendants were pleasant, food was good. There is plenty of overhead storage in this cabin. Seats on board this airplane are very close together and not comfortable. Especially the window seat you feel really squished. On long flights theses seats really make your back hurt after. If you can avoid United A319 AND A320 aircraft. I hear that the new slimline seats are more comfortable on the 737s but I doubt it. OMG! Do not take this flight. In fact, do not take this airline. All that was missing was the hand holds for the subway that this flight / airline has become. More comfort can be found on a third world cross country bus. This airline / airplane is simply a crammed bus with wings. Look elsewhere! Just spent about 7 hours on two different A320 aircraft. The first one had grey slimline seats, which are absolutely brutal and borderline tortuous. The second flight had blue slimline seats, which I believe are the updated version, although they are still very uncomfortable but considerably better than the gray ones. Both are very unforgiving and they become painful after an hour or two...minimal padding with a too-short downward-sloping cushion. Sadly, I doubt there is any way to know which ones you will get. The legroom in this seat is reasonable for economy. The "limited recline" is actually no recline. But, these are the new super-slim seats (approx half-inch thickness, even on bottom cushion). I've sat on park benches that were softer and more comfortable. Avoid this aircraft entirely for flights longer than an hour, or your back will be sore by the time you land. The leg room (if you want to call it that) is non-existent. You have to angle your laptop because there is not enough space to view the screen due to the proximity of the seat back of the seat in front of you. You can't even fit a water bottle into the pouch on the back of the seat. Probably the worst flight I've ever had - it's not the crew - it's due to the uncomfortable seating. Too narrow, too small and very uncomfortable. Can't even fit a water bottle in the tiny mesh seat pocket. No room to put anything on the floor. My legs were hard up against the seat in front on me and I am only 5 feet 10 inches. Incredible uncomfortable seats -- like sitting on a park bench. No lumbar support, no leg support at all. Was counting the minutes to get off this plane. Awful experience. Will not fly United again. This is a standard aisle seat located on the right side of the aircraft just a few rows behind the over-wing exit rows. It is one of what I call the "back-of-the-bus" seats featuring the new Slimline Recaro seating. In light of the trend by most of the domestic air carriers to squeeze as many seats/rows as possible into their airplanes, the best thing I can say about this seat is that it was adequate in terms of breadth, leg space and comfort. 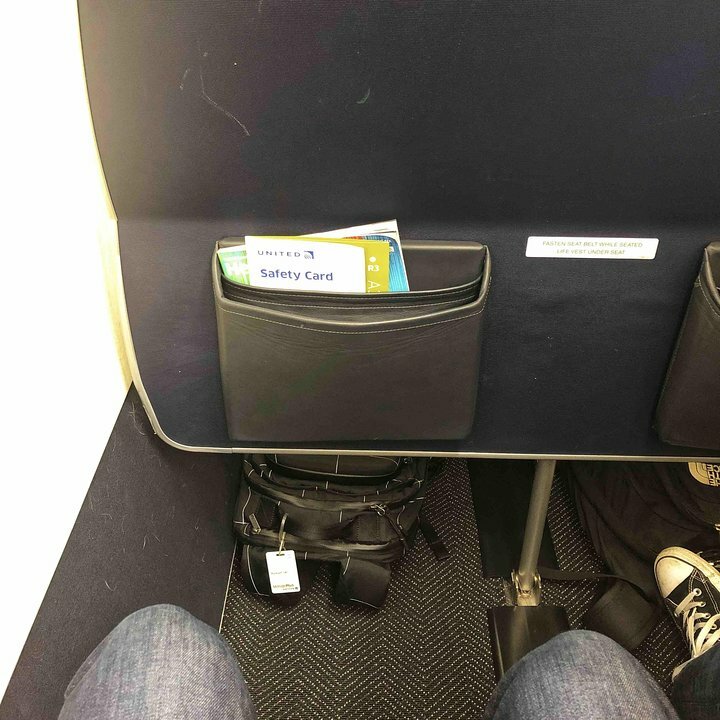 If you are 5' 10" or less in height, or a somewhat taller person with short legs, you will be able to sit in this seat and still have a couple of inches between your knees and the back of the seat in front of you. In other words, you don't have to sit upright and uptight and feel as though you cannot move or a frozen in place. The lumbar support of the seat back is neither better nor worse than any other typical economy/coach-class seat on United Airlines. I do wish that the seat cushion itself was more supportive - it felt soft and thin - perhaps because the density of the foam, filler or stuffing material used is lacking. On a long flight this seat may become uncomfortable and cause you to squirm a bit or want to get up and move around. Seat recline has been reduced and I was only able to move/tilt the seat back about two inches. Fortunately, for me, the middle seat on this flight was empty and that made my specific seat feel less confining and more bearable as I could spread out a bit (likewise for my seatmate in the adjoining window seat of this row). To reiterate my earlier comment, this seat was adequate and tolerable given the trend by the airlines of reducing seat pitch on their aircraft. Stated simply, it represents the new standard in air travel for the average passenger traveling on a budget. Was on a 6 hour flight on this plane. Multiple times the bathroom line backed up about 10 rows. Super crammed, the seats are very uncomfortable. I had a huge dude behind me and someone reclined in front of me so I was unable to open my laptop all the way. Awful slim seats. The ones on the 737-800/900 are much better and legroom on those is much better too (in eco+). Would avoid flights with this plane. These new slim seats are brutal. They were OK for the first hour or so, but for the remainder of the flight I was extremely uncomfortable. I've never wanted off of a plane so badly. I feel the issue is that the seat pan depth is too small - I kept sliding off of the seat it and having so reposition myself. I even reclined the seat to keep from sliding off of it, which I never do out of courtesy to those behind me but these new seats left me no choice. Reclining didn't help any. Make sure you get an isle seat - I found standing in the isle whenever I could was much more comfortable! OK for first 2 hours. Uncomfortable in third hour, and punishing for rest of flight. I have never been as anxious to get off an airliner! All of the seats in the new recaro thin seat equipped cabins are horribly uncomfortable. The pitch is so tight that my 6'3" frame will not fit without punishing my shins on the seat in front. Avoid these united planes! Seatguru should call this out on the overall seatmap comments. Yes its an average seat but average on this flight is pretty bad. Yuk! These new seats are incredibly uncomfortable. The first time i flew on one, i just thought i was sore already from earlier United flights, but it turns out on future flights that these aircraft seats are the ones that are really the thing hurting me. I would highly recommend just switching to another airline because your body will pay the price if your wallet doesn't. I didn't think these seats could be as bad as people said; indeed they are worse: Thinly padded, little thigh support, very uncomfortable. So bad I'm going to change airlines if I can't avoid these planes. This is an Economy + seat with the new Recaro thin seats. As others have said, the seat cushion is shorter, so less leg support, and there is very little extra padding at the headrest level, just 2 little "wings" you can adjust. Very uncomfortable for a 3 hour ride. No entertainment options other than wifi, even Channel 9 cockpit audio has been removed. 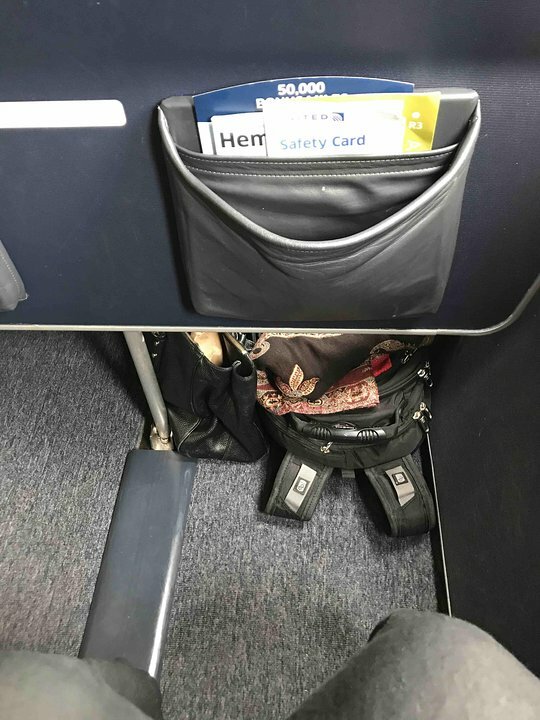 Flew BOS-DEN on A320, going out on a plane without a remodeled cabin (old seats) and coming back on a plane with the new Recaro slimline seats. The older A320s have 37 rows of seating, with the slimline seats they've managed to fit in another row (38 rows total). They didn't do this by making the plane 1 row longer - they did it by taking away room from each row. The 30 inch pitch is approaching that you would expect from budget airlines like Spirit and Frontier. The seat is like the plastic hard shell seats you see in bus terminals. If you're taking a flight longer than 1 hour, check the seat map, and if it's an A320 with 38 rows you'll know it's the new interior. Unless you're shorter than 5 feet tall, find another flight! The new United seats are another insult to their passengers. The seat bottom is short, providing less support to ones legs. The cushion is thin, making ones bottom uncomfortable after an hour. Now i have a new business, selling cushions for airline seats. The mesh storage pocket is too small for a water bottle, or most novels. I could get an ipad in there. Not much more. There is no video or audio entertainment on this remodeled plane! Seriously, how is this how United is going to equip all their planes? PHX/EWR is a long flight. The plane has wifi, but it is too slow for videos. And it is $10 per person. The new seats are very uncomfortable. The lower portion of the seat is much shorter and provides very little support for your legs. The seats only recline about 3 inches. The seats are very poorly padded and sitting in them over an hour becomes painful. These seats have almost no seatback storage. Avoid any flight equipped with these new seats if you can. The Recaro seats have a very small seat back pocket that will only accommodate a small Kindle reader and no hard back books. Also, all entertainment systems have been removed from these reconfigured airplanes with WIFI being added (it doesn't work very often). United use to provide free entertainment on all its airplanes but since the merger with Continental this is disappearing. United flies 1 versions of Airbus A320 .